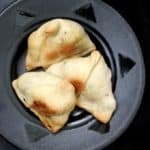 My Maharashtrian mother, and later my Goan stepmother, struggled to fit into the food traditions of my dad’s Karwari family, unlike the wives of my dad’s two brothers who were also Karwari. You might wonder, on the face of it, why this should be such a big deal? Goa, Karnataka (where Karwar is located), and Maharashtra, are all neighboring states, with some overlapping food traditions. 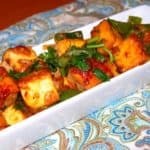 But if you’re an Indian, you know that when it comes to food, every community within every region of every state has its own special way of cooking up the same ingredients. So while my Maharashtrian mom cooked varan, a simple dal made with just three ingredients that’s a delicacy when eaten with rice, my Karwari aunts (my dad’s sisters) said they would rather have dalitoy, their version of an everyday dal, also delicious, made with a few more ingredients, like mustard seeds and dry red peppers. When my Goan stepmother cooked her mackerel into an amshe-tikhshe, a sweet and sour dish, my Karwari aunts looked down their noses and insisted mackerel tasted so much better in a curry made their way. When they gathered together to cook for festivals, you could be sure that my mom, and after her my stepmom, would be the ones not actually cooking but rather playing the role of the cook’s assistant, doing only those things they were “allowed” to do, so they didn’t screw up those perfect Karwari meals. 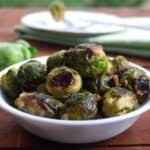 I have no doubt that the rancor between my aunts and my stepmother, which persists to this day, has less to do with their other differences, of which there were many, and more to do with the fact that my stepmother was forced, despite being a great cook herself, to play second fiddle to my aunts on matters of food. 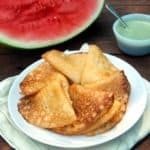 One recipe that my stepmom did adopt willingly from my Karwari aunts, and even bettered, was Kalingada Polo, or watermelon rind dosa. 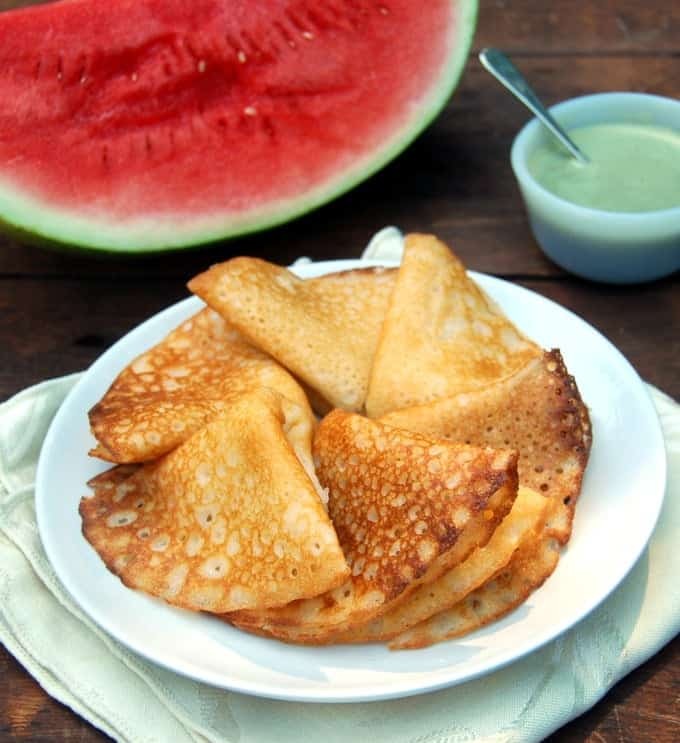 Recipes like watermelon rind dosa have an innate appeal for Indians who love to recycle every last bit of everything. I can’t speak of India as it is today, but in the land I remember, people recycled practically everything. Plastic bags from department stores would double up as purses and bags for college students and even office-goers. Anything that could be sold to the raddiwala (vendors who buy paper and plastic for recycling) — like newspapers and plastic bags that were used as packaging for milk — would be sold. Resealable cans of shortening (sold under the brand name of Dalda when I was a kid) would turn into storage for rice and dal. Tufts of rough coconut fiber would morph into free, organic scrubbers to clean out pots and pans. In my childhood home, the trash my family of five generated daily would have fit in a cup, and even then it was mostly organic waste, like banana peels and vegetable waste (and that was probably only because no one had devised a recipe with banana peels — yet). In homes that had yards, like Desi’s, the vegetable waste would turn into compost, but as Bombay apartment dwellers we didn’t have that luxury. 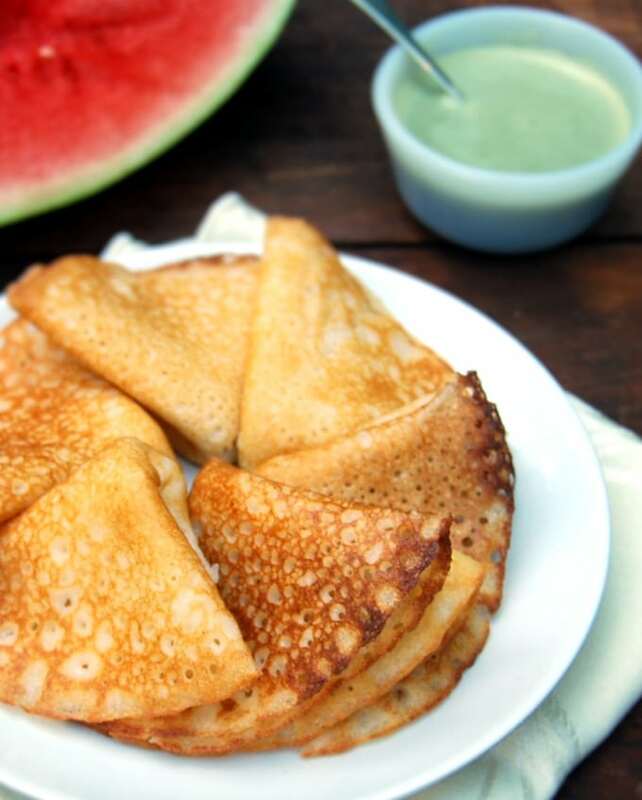 The watermelon rind dosa uses a part of the watermelon that would otherwise be discarded — the white part that is not as sweet as the pink although not as tough as the green skin. 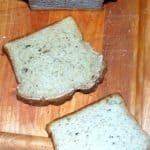 But that white part is rather edible, and even better, it is packed with several vitamins. Why waste it? This is a natural recipe for summer, because who doesn’t love biting into this incredibly juicy fruit in these sweltering temperatures? All you need to do is save the white portion and then blend it up with some rice and a couple of other ingredients. 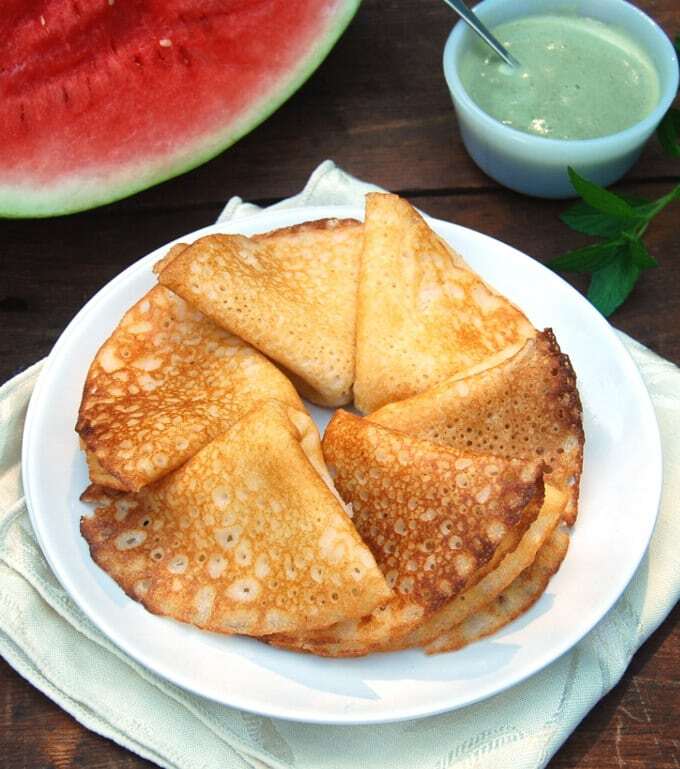 The dosa itself has the refreshing, unmistakable flavor of watermelon and is quite addictive. In our home, you will always find watermelon in the refrigerator in summers, because Jay loves nothing more than a watermelon milkshake with a dollop of ice cream. I’ve been making this dosa recipe more times than I care to count, and there have been no complaints. 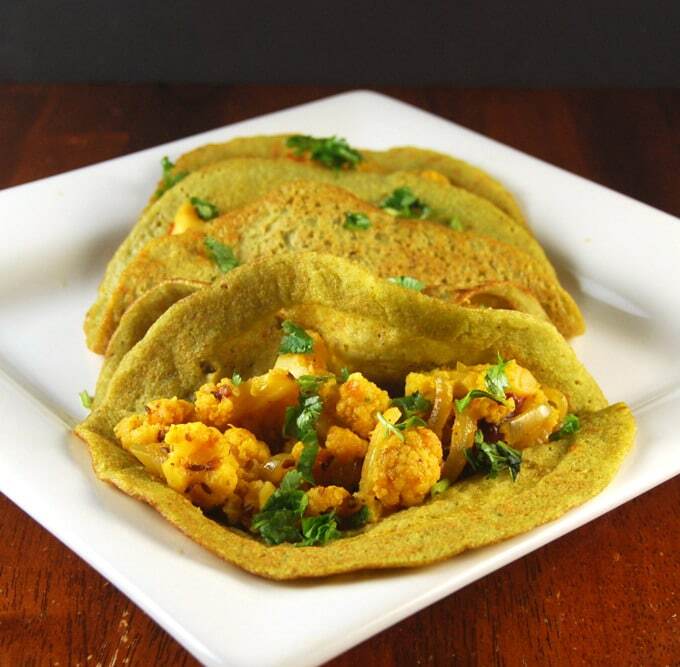 Serve up the dosa with some chutney or sambar for a delicious meal or a snack. You can even add some jaggery to make a sweet version. 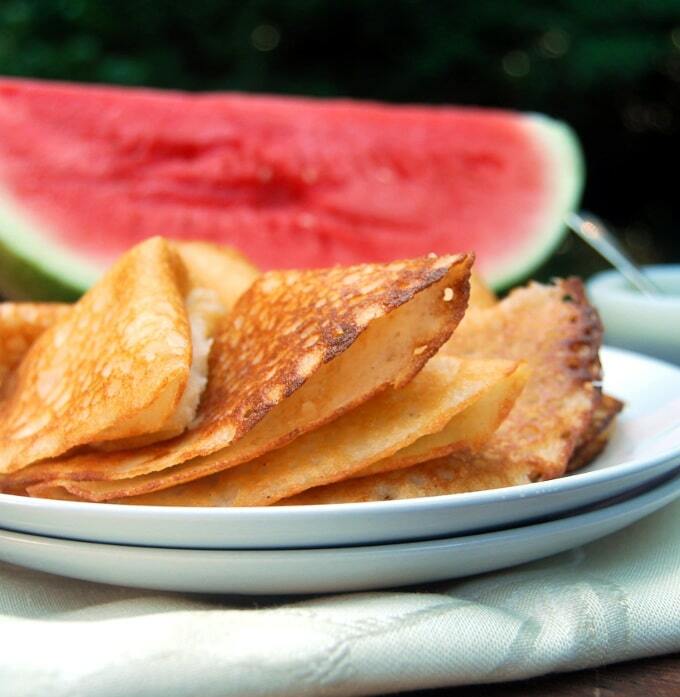 A delicious, summery pancake that tastes of watermelons and is made with watermelon rind-- the white portion you'd normally throw out. Serve with some cooling and refreshing mint chutney. Soak the rice and the poha, if using, for at an hour. Drain out all the soaking water. 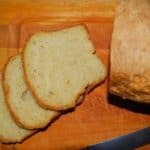 Place in a blender with the other ingredients and process to a smooth but very slightly grainy paste. Add very little water at a time. The batter should be fairly thin and runny if you want thin dosas. 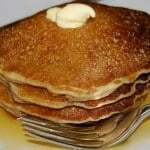 For thicker dosas, make it the consistency of regular pancake batter. Let the batter stand overnight or for 8 hours. Heat a griddle. When hot, pour about 1/2 cup of the batter in the center. 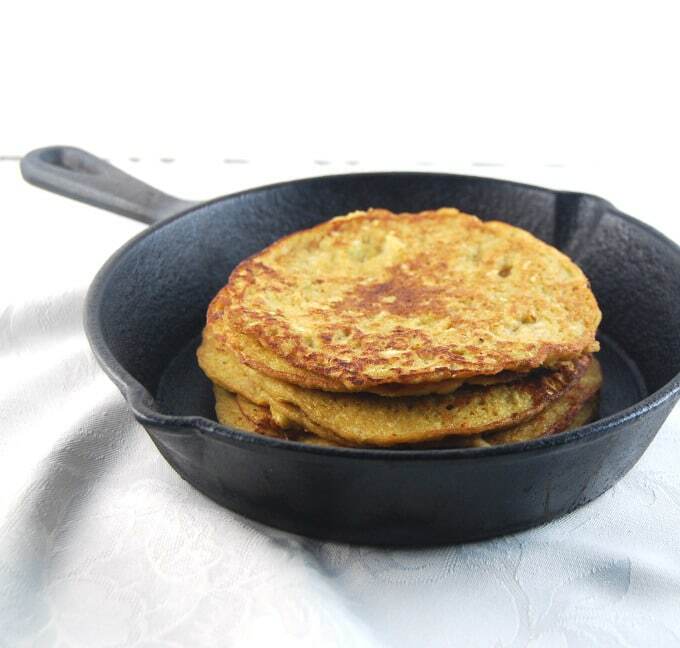 If your batter is quite thin, it will spread into a round on its own. If thick, help along with the ladle to create a round. Let the dosa cook until bubbles appear all over. Spray or pour a few drops of oil around the edges of the dosa to crisp up the edges and help it release from the pan. When the bottom is golden brown, flip over and cook for about 30 seconds more. What a unique and delicious sounding recipe! I can’t wait to give this a try once the watermelon shows up in my CSA later this summer. This sounds so good. I’m going to try it. One question: You say to let the batter sit overnight. In the refrigerator? Or at room temperature? At room temperature. 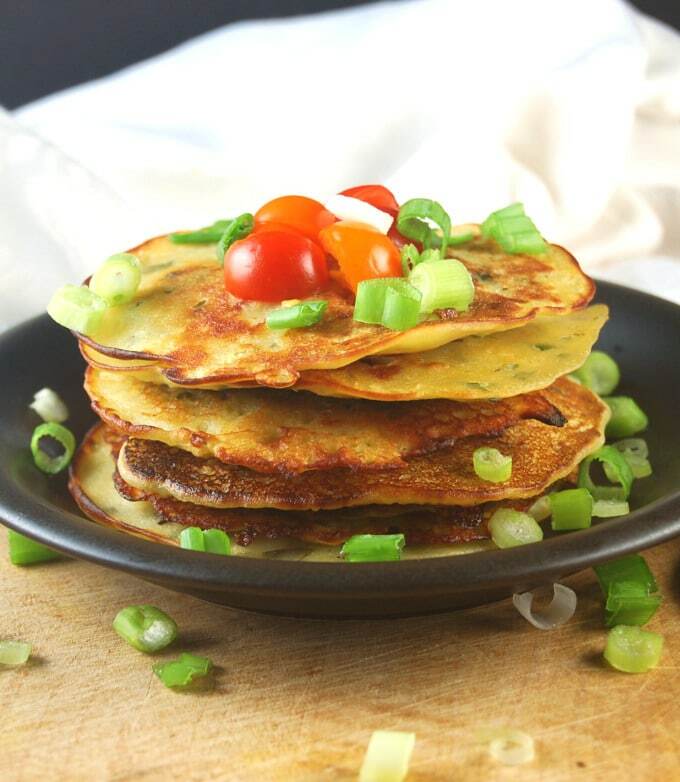 🙂 You want the batter to ferment ever so slightly (it doesn’t get sour) for the probiotic bacteria to manifest and do all those good things for your digestive system. 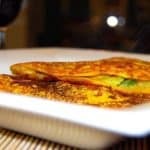 You can keep the batter in the refrigerator or make the dosa rightaway (without letting the batter stand) but I wanted to get the full benefit of the traditional method here. This looks great, but I am more interested in the watermelon milkshake..will you share the recipe for that too? What a lovely recipe, Vaishali! 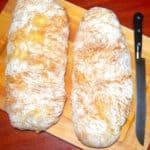 I’ve been looking for things to do with watermelon rind knowing it is chock full of nutrients. This is the fourth use I now know of (others being salad, gazpacho and curry. You can also use it to make Thai papaya salad with the melon instead of green papaya). Thank you very much for sharing. Bookmarking for when I get watermelon at my CSA! I love using all the parts of fruits and veggies since you can get all the vitamins and minerals that food has to offer! A beautiful write up, reminded me of my childhood growing up in India and the recycling that I took for granted. Things got repaired until they fell apart. I still remember the one pair of sandals getting sewn up by the cobbler many times. Looking back reminds me how wasteful I have become. Thanks for the post will surely try the dosa. Hi there, Did you drain the rice and poha thoroughly? 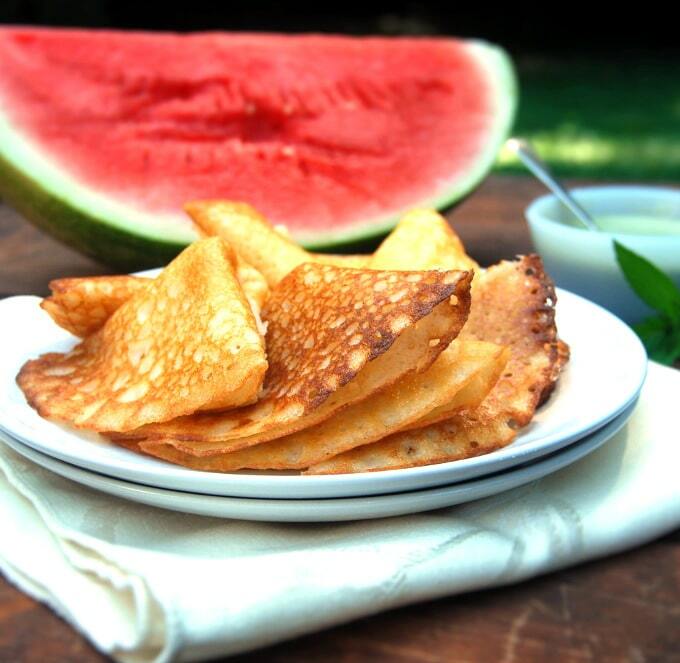 The watermelon rind adds liquid, but it shouldn’t be so much. The measurement I gave was for roughly 1 1/2-inch chopped pieces of watermelon rind– did you measure after grating/pureeing? That could have dramatically increased the amount of fluid. Ooh, I think you should update your recipe to say the water needs to be drained. I for one was going to make this today but happened to read all the comments, glad I did! 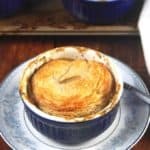 Love the recipe – very unique and appealing! Hello. I am a newly committed vegetarian, but have cooked vegetarian bean curries for many years. I also identify as Hindu/Buddhist so this transition is important to me. I happened upon your website for the first time this morning and found myself feeling drawn-in and “nourished” by your writing and personal stories…at least as much as by my anticipation of trying your recipies. 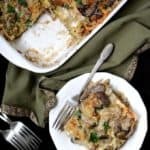 I feel that I have found my “go to” site for meal planning! Thank you! I am especially excited about attempting to cook with rice and bean flowers. I am a Kapha, so crave these “feel good” foods but am not able to tolerate heavy foods anymore. I have never ordered dosas at a restaurant because I assumed they were oily and heavy. So excited to try your variations. Hi, thanks for this lovely recipe.. It especially attracted my attention among others out there, because the rind required is 2.5 times the rice. I did double the grated coconut (you can never add too much coconut :-)). And for those of us who will eat only crisp doses, cooked covered, on a slow fire for some time, these yummy dosas will pass the crisp test also! I have made variations of this before, so I have been forewarned that the only liquid used should be of the pureed watermelon.